The Coachella Valley in southern California is flat and arid, flanked by the San Jacinto Mountains to the west and Joshua Tree National Park to the east. 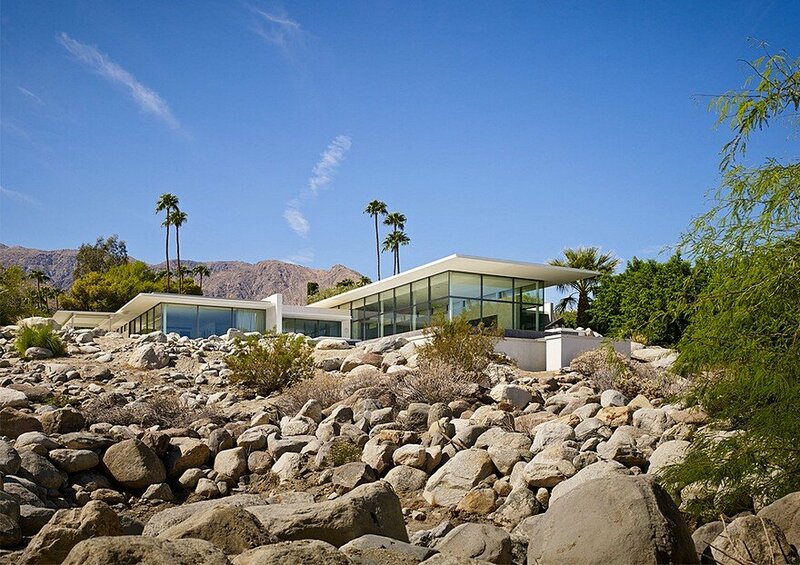 The Palm Springs House is embedded in a San Jacinto promontory that overlooks the valley and mountain ranges beyond. 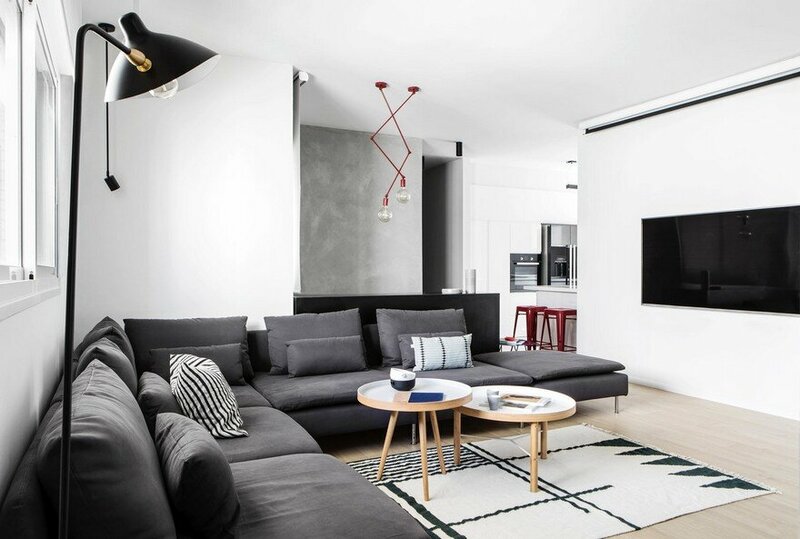 The home celebrates its setting, capturing the spirit of its region in its form and execution. 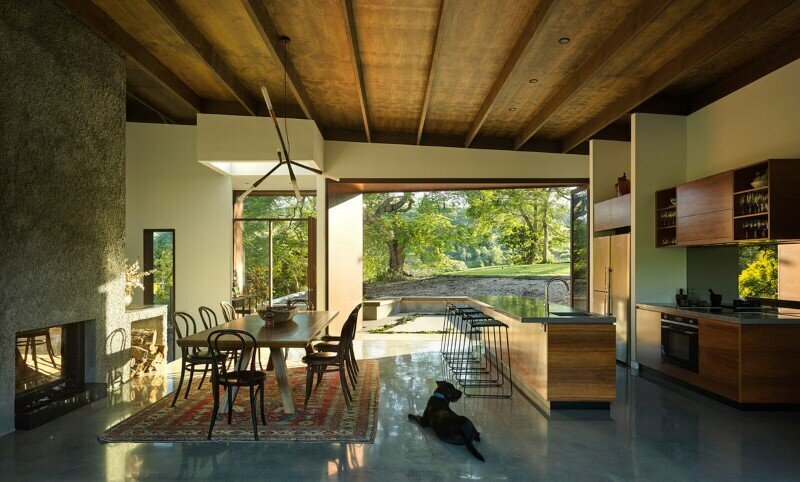 Two offset linear building masses contain living and sleeping spaces respectively that are linked by a light-filled kitchen. 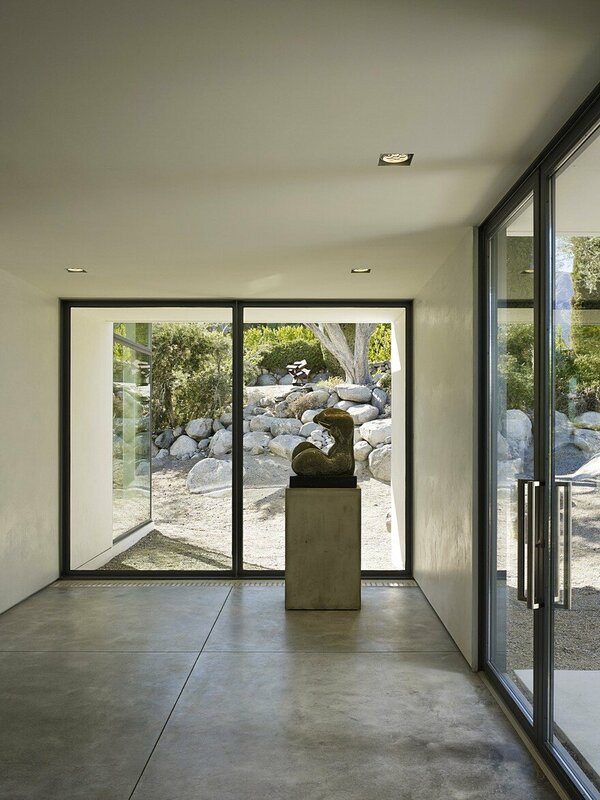 The courtyards resulting from this volumetric shift open to expansive mountain and valley panoramas. 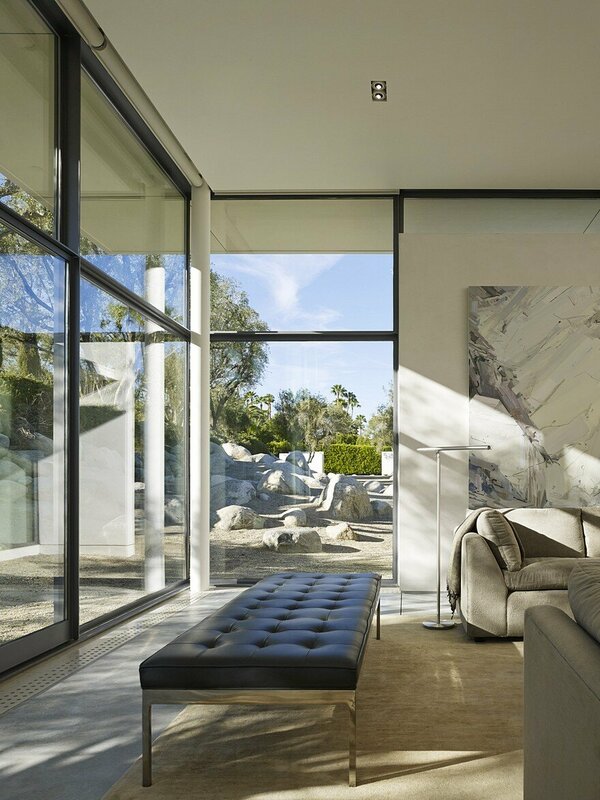 Operable glass facades are concentrated at the south and east of the home and integrate the indoor and outdoor experiences by providing views, daylight, and natural ventilation. 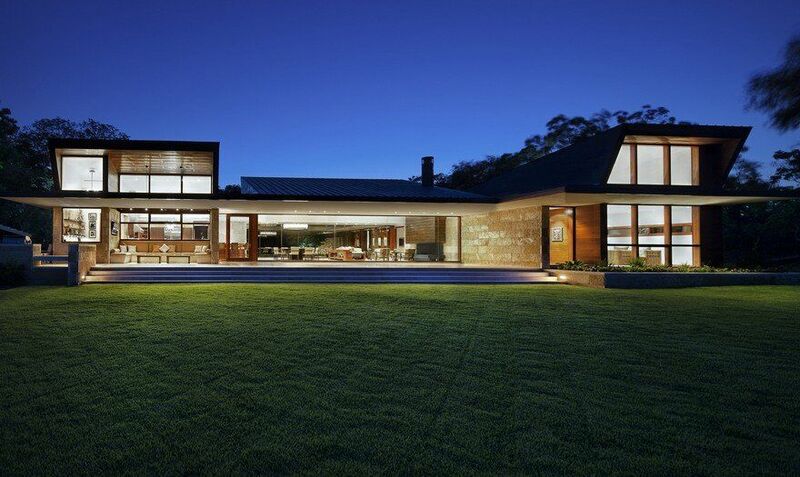 Deep roof overhangs and the relocation of existing olive trees provide shading at all glass wall exposures. 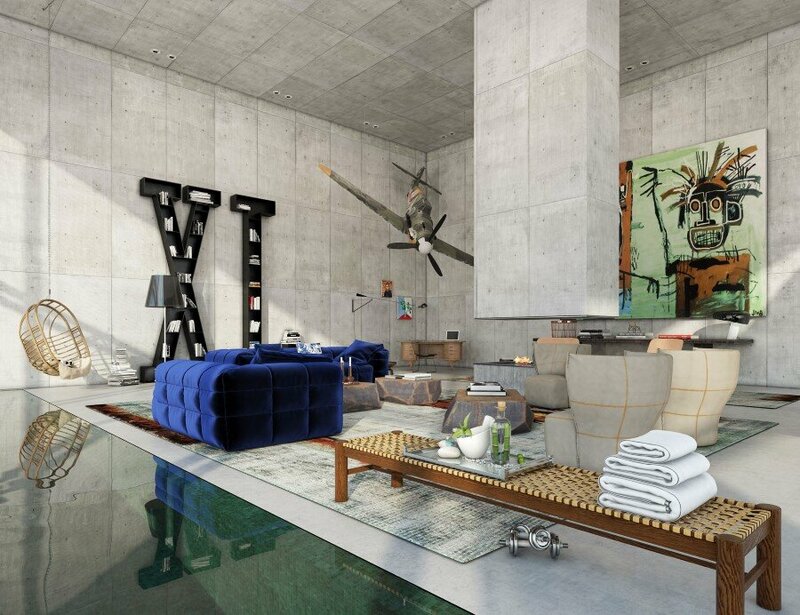 An infinity-edge pool reinforces the bold roof lines, contributing to the ethereal quality of the environment. A forty-two foot long Keiko Hara painting, “Imbuing in Monet,” stretches across the living spaces, carrying natural themes and colors indoors. 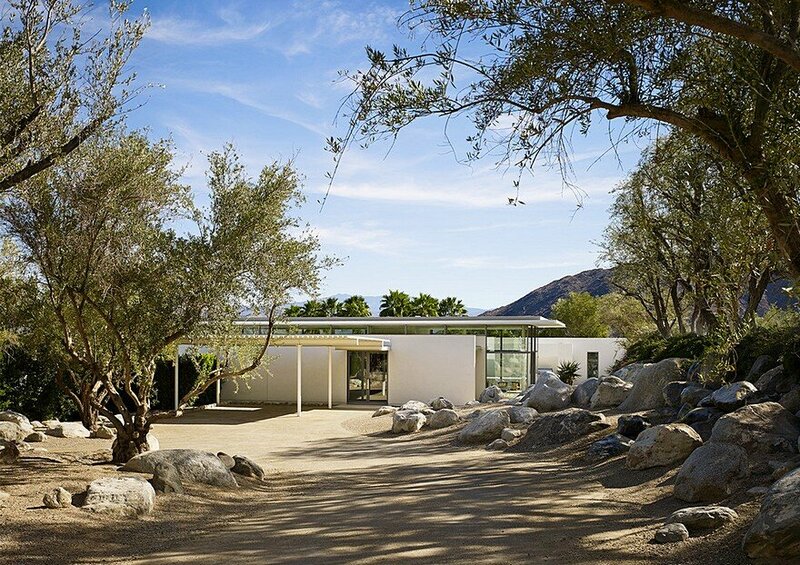 The Palm Springs House project presented an opportunity to restore the native desert landscape that had been disrupted by lawn from a previous development. 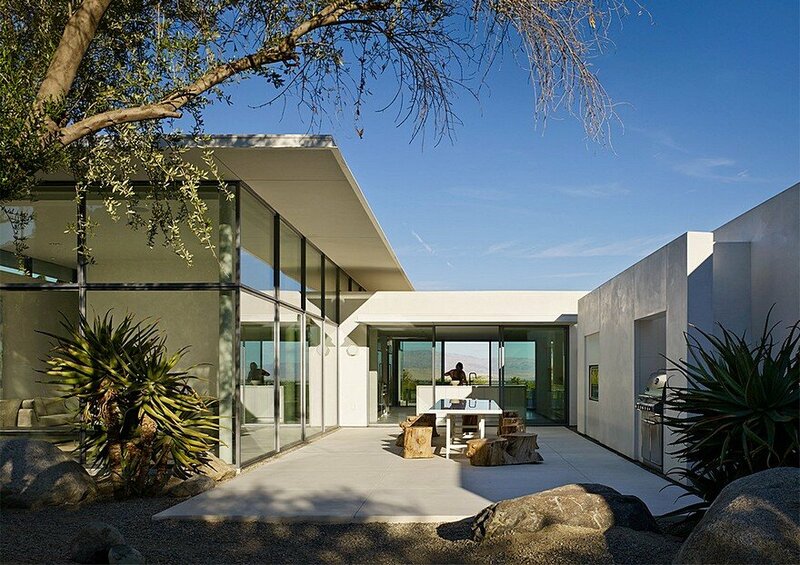 The home’s mindful footprint preserves existing drought-tolerant vegetation on approximately sixty per cent of the site. 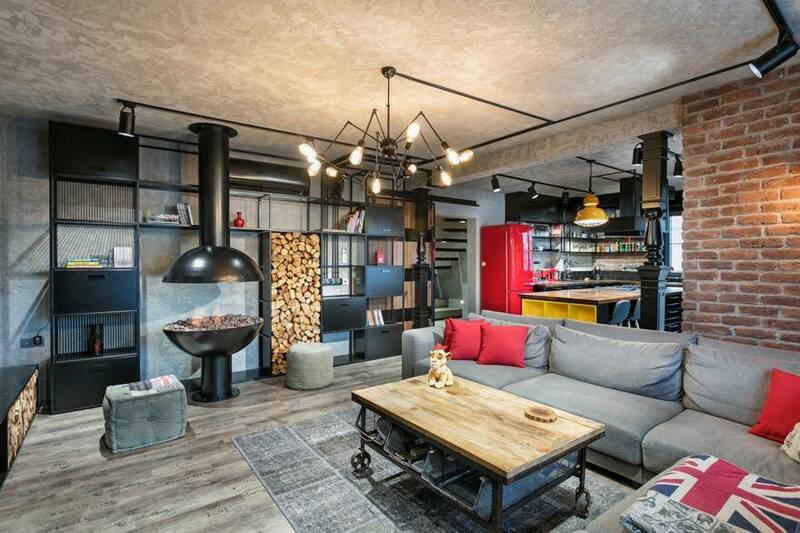 The structural system maximizes the use of wood, thereby relying on local materials and labor. 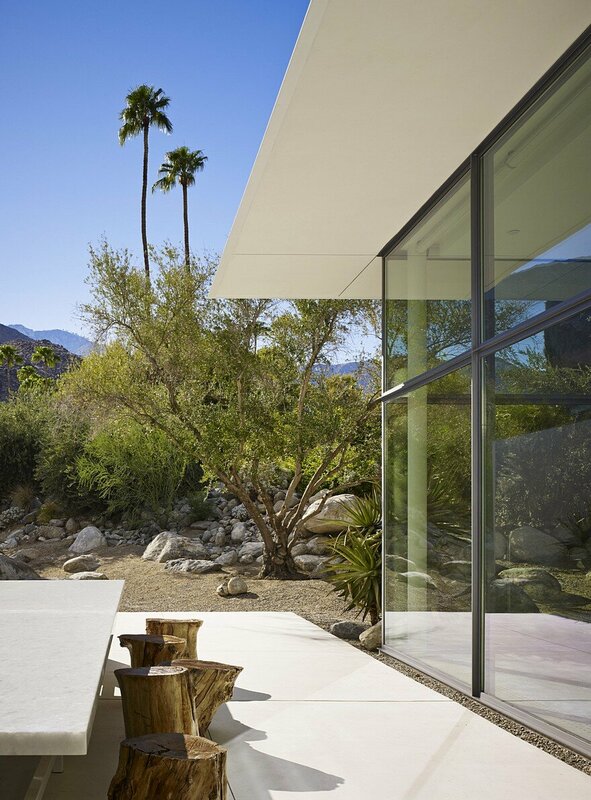 A Palm Springs craftsman produced the custom thin-profile operable window system. 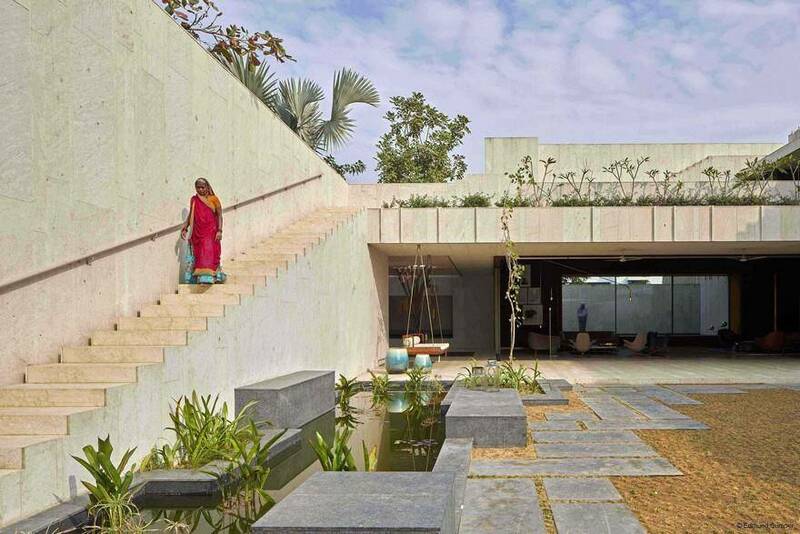 Responsive to natural forms, processes, and sounds, the house cherishes its landscape.